The cover glass is one of the most important components of a touch sensor. Cover glass selection is all about the trade-off between the sensitivity of the touch sensor and its mechanical and/or optical properties. There are many ways down the road to improve the touch sensor’s sensitivity (e.g. different electrode patterns or different stack-up materials). However, the sensor’s structural integrity is (literally) make or break when it comes to this selection. This article discusses the main considerations of a touch sensor designer when choosing the sensor’s cover glass. First, we focus on common mechanical and optical design problems. Then we go into some more specific problems, in more intricate touch sensor designs. A thicker cover glass results in a sturdier touch sensor. Thicker cover glasses are usually preferred for applications in harsh (e.g. industrial) environments. In devices like smartphones and smartwatches the designs need to be as thin as possible. So designers focus on trimming thickness, and the cover glass is no exception. A general rule of thumb to keep in mind is that the thinner the cover glass, the less it affects the performance of the touch sensor. The material of the cover glass and its thickness affect the sensor’s weight. Again, smartphones and smartwatches are expected by the consumers to be lightweight so designers resort to lightweight materials. In touch sensors that are mounted on other devices (e.g. on white goods) weight is not a driving force on design choices. In these cases, designers go for the most cost-effective material and thickness solution. The need to mitigate the scratches is crucial in most of the industries. A cover glass that easily scratches can compromise both the functionality of the sensor and its cosmetic appearance. So, in smartphones and smartwatches, scratch resistance is a design priority. 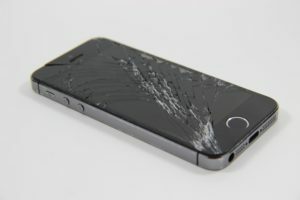 Customers simply expect their device to be able to withstand a moderate amount of scratches. In harsh and industrial environments, the touch sensor is almost expected to be subject to scratches. The designer has to take this into account and select a cover glass durable enough to withstand them. Finally, in healthcare, touch sensor should remain as smooth as possible so that it can be easily sterilized. Having scratches on their surface means a rougher surface that is harder to clean. Similar to scratch resistance, a basic level of drop resistance is something that customers expect from their products. In fact, drop resistance is so important that the latest version of Corning Gorilla glass is designed to withstand 15 drops from 1m without shattering. Again, smartphones and industrial devices are more likely to need such protections, while mounted devices are not likely to need it. These are, in a nutshell, the mechanical properties a touch sensor designer should account for before making a cover glass design choice. Next up, we’re going to examine the most important optical features to consider. Taking into account the mechanical properties of the cover glass when designing your touch device can minimize the instances where this happens. The general consensus regarding touch sensor designs that are on top of screens is that the whole sensor should have a transparency of more than 90%. As far as the cover glass is considered, the transparency lost on it is negligible. Most of the light is blocked by the electrodes. The material electrodes are made of, be it ITO or one of its alternatives, is not perfectly transparent. However, this doesn’t mean there aren’t other optical performance parameters to be considered. Anti-glare is the ability of a glass to diffuse the mirror-like reflections off its surface, enabling the viewer to better see what’s behind the glass. So, anti-glare is used to increase the visibility of what’s behind the touch sensor. If there isn’t a screen behind the cover glass sensor, this property can be omitted. However, if there is one and the device is going to be used outdoors (e.g. in a POS device) then having such a property can vastly improve the usability of the device. Again, in any device that features a screen behind the touch sensor, anti-haze coating is a must. Hazy or cloudy glass can reduce the clarity of what’s shown on the screen. This reduces the usability and its cosmetic appearance of the product. Designing a touch sensor that features a curved cover glass instead of a flat one can create problems on its own. Consider a flat sensor with a slightly bent cover glass, or a cover glass with curved edges. The glass will have a different effect on the performance of the design. This happens because the distance between the finger of the user and the electrodes will differ in the non flat areas. The difference will alter the coupling between the two and affect the sensor’s design. How the cover glass geometry can affect the performance of the touch sensor. But the problem magnifies if the cover glass forms a bigger curve angle. In this case, it is not only the distance between the finger and the electrodes, but also the orientation of the finger when it’s near the sensor that changes. Since the curve is bigger, the tip of the finger will probably have a different orientation that it does on the flat areas. This will introduce a different geometry to the sensor and again, alter the coupling between the two. We also have to mention the case in which a stylus will be used to operate the touch sensor. A stylus has a significantly smaller area than the fingers. So the general train of thought here is that in order to operate a sensor via a passive stylus you’ll need a more sensitive sensor than one you’d operate with a finger. In terms of cover glass selection, if you know that a stylus will be used, you might want to opt for a thinner cover glass or one with a higher relative permittivity. Signal-to-noise ratio, or SNR, is a constant headache for touch sensor designers. Thankfully, proper cover glass selection can you help increase the SNR. Without going into too much detail, keep in mind that thicker cover glasses result in a worse SNR.Thinner cover glasses or ones made of a material with a higher permittivity lead to a better SNR. How to achieve the desired properties of your touch sensor. You can implement the desired properties in your touch sensor designs in two ways. 2) using multiple (usually two) cover glass layers, each with different characteristics. Let’s discuss both these methods. Choosing a single cover glass layer means losing some control on your design and some customization potential. Committing to this design decision means that you limit yourself to just off-the-shelf products that probably have a substantial cost. However, these products come with well defined parameters (e.g. a know relative permittivity, hardness etc). Also manufacturers provide product datasheets so it’s behaviour can be accurately predicted. Moreover, this method likely results in thinner and less complex designs. The premise of this technique is simple. Start off with a simple, cheap cover glass and then combine it with a property layer. Properties that you can coat on top of cover glasses include (but are not limited to): anti-scratch, anti-glare and anti-haze. Even though this method is usually cheaper and allows for more customization and control on your design, it also has some shortcomings. Designs with multiple layers tend to end up thicker. Gluing the layer together adds extra thickness. Also, combining layers results in a cover glass configuration whose impact on the sensor’s sensitivity cannot be predicted with high accuracy. Left: two layers of cover glass. Right: a single cover glass layer. Blue/green layers indicate the touch sensor. Cover glass selection for a touch sensor looks like an easy task. However, it’s much harder that it looks: there are many properties to consider, mechanical, optical and others. Each impacts on the performance of the touch sensor. So, as always, compromises have to be made. Implementing the desired characteristics isn’t straightforward either: there are two ways to achieve it and each has its own benefits and drawbacks. We’ve, quite literally, just scratched the surface of touch sensor design and we’ve peeked at its complexity. There’s no need to feel overwhelmed ! Subscribe to our blog to learn more about touch sensor design, the easy way! Featured image courtesy of Corning.com. Are you having trouble choosing the optimal cover glass for your touch sensor? Try out SENSE, the only software for touch sensor design and validation. Get your free trial and start using it from day one!